Companies sell billions of dollars worth of products on-line, thanks to on-line e-commerce technology. Plastic money opened the door to enabling commercial transactions without the interchange of physical currency. This also paved the way for eCommerce website developers over the web using electronic transactions, which is popularly known as e-commerce. Financial transactions over the web however present their own list of challenges. Security is one of the main concerns that needs to be addressed. The payment gateway has to be as secure as possible to make every financial transaction completely safe on-line. It is not only the gateway that needs to be secure, but the server that stores credit card information of customers also needs to be completely hack-proof. There have been many instances in which hackers have broken into online databases that stored credit card information of thousands of customers. Therefore, there are real concerns that need to be addressed when designing e-commerce web applications with payment gateway integration. Here are a few different ways to handle the issue, and each of these approaches has its own advantages. Companies need to decide which solution is best for them based on their own requirements. On-line payment gateways like PayPal have been there for ages, and are one of the most reliable and inexpensive ways to implement secure on-line transactions. There is no fee to open a business account with them. They do charge a small fee for every transaction, but it is quite low considering the security that they provide. This is one of the best options for small businesses that do not want to invest heavily in infrastructure. Many banks also offer payment solutions through their own gateways. However, most banks charge a registration fee for opening an account. They might also charge a fee either for every transaction or an annual fee for their services, or both. Small to medium businesses that require a ready-made payment solution for their web transactions can choose this option. It is also possible to develop a custom-built solution for one’s organization. However, it needs to be done with experts who have thorough knowledge in the field. The website needs to be verified by an on-line certifying authority to establish trust among shoppers. The site also has to use SSL (Secure Sockets Layer) and 128-bit encryption for all transactions to make them secure. 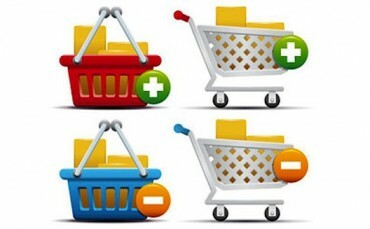 These are some of the ways in which a site can implement e-commerce online. Based on the specific nature and requirements of the organization, a particular method of implementation can be chosen.